Ross & Cromarty Roots | Gruinard Burial Ground. Accessed through a field with parking on opposite side of A832 road. Surprisingly more modern than old headstones. 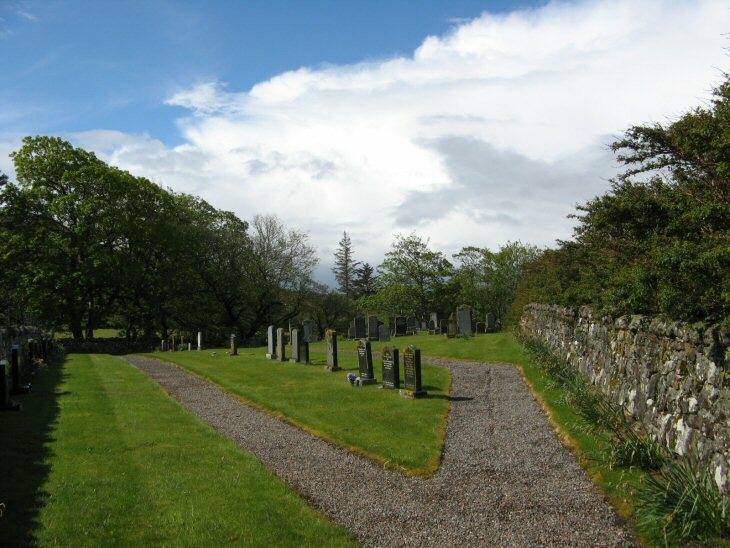 Gruinard burial ground is just within Lochbroom Parish, and serves the communities lying between Dundonnell and Gruinard Bay (see link below). Laide in Gairloch Parish serves the south and east coasts of the Bay.